Vinzons Hall was constructed to provide a space for students, their activities and organizations, as well as for services dedicated to them. The idea for this student center was conceived and proposed by the Student Council to the University administration in 1956. Construction began in 1957 and the building was finished in 1958. Originally called the Student Union building, it was renamed after Vinzons shortly after its completion. Vinzons was a prominent student leader at the University who would later become governor of Camarines Norte, a guerilla leader, and World War II hero. 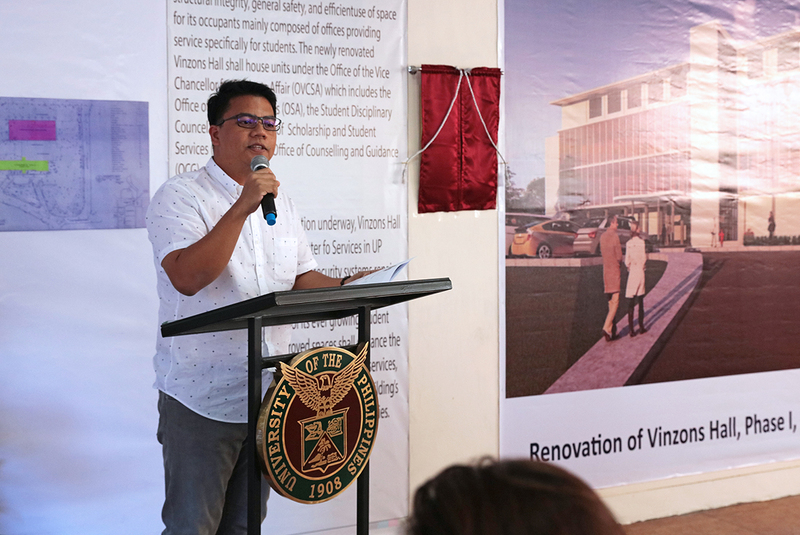 In his message, UP Diliman Vice Chancellor for Student Affairs Jerwin Agpaoa, representing Chancellor Michael Tan, said of the project: “Never have we enjoyed this much support for our student spaces.” He was also referring to the ongoing construction of the Student Union building behind Vinzons Hall. 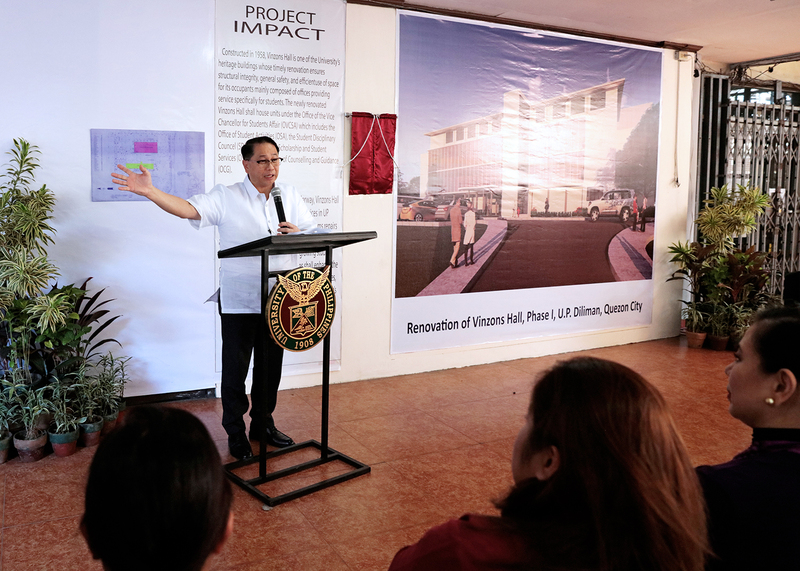 UP President Danilo Concepcion, meanwhile, emphasized that it is the University administration’s duty to ensure that the campuses remain conducive to the holistic development of UP students. 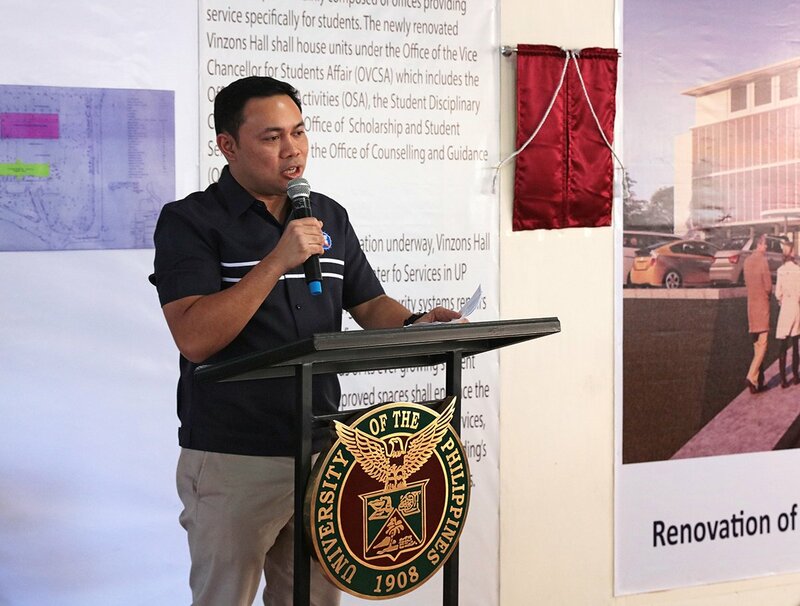 Department of Public Works and Highways Secretary Mark Villar, whose agency is UP’s partner in the initiative, assured the delivery of efficient and quality service in the implementation of the project because “UP deserves to have quality infrastructure.” He also reported that the construction of the Student Union building, which broke ground in October last year, was already at 15 percent completion. 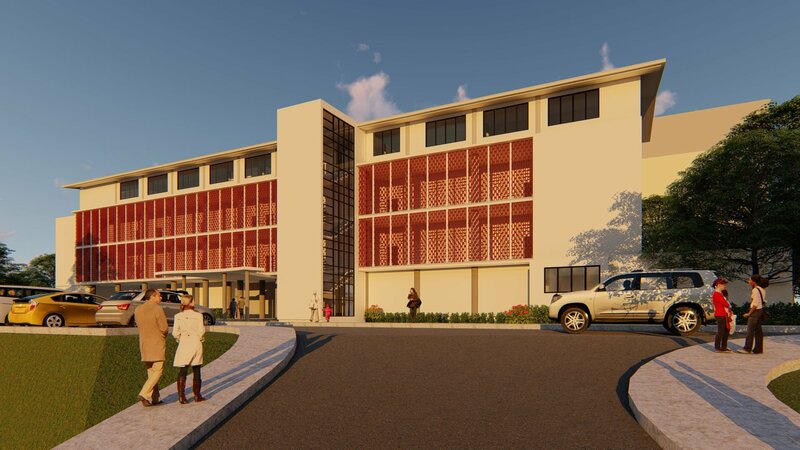 According to the Office of the Vice President for Development, the renovation “ensures structural integrity, general safety, and efficient use of space for its occupants.” It includes electrical, plumbing, and security systems repairs and upgrades. 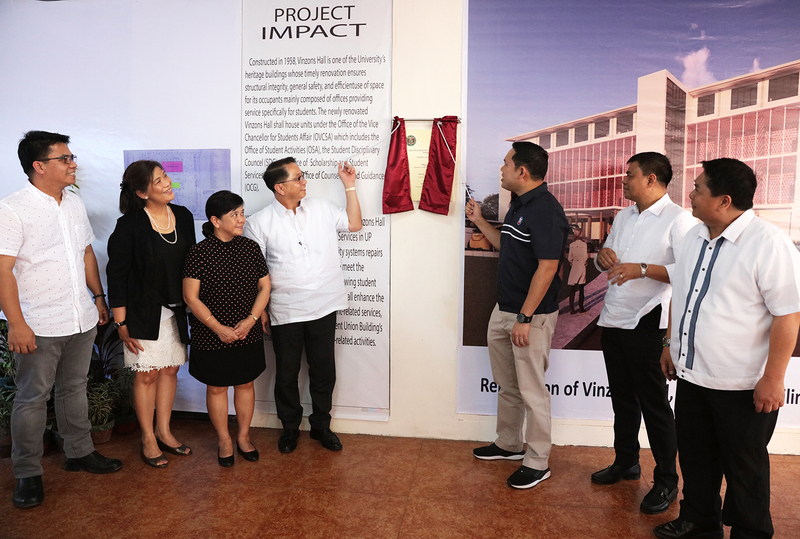 Along with the Student Union building, the newly-renovated Vinzons Hall is expected “to meet the increasingly complex needs of its ever-growing student clientele” and enhance UP’s capability to provide student-related services. 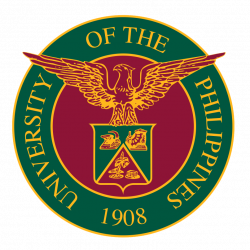 It will house units under the UP Diliman Office of the Vice Chancellor for Student Affairs: the Office of Student Activities, the Student Disciplinary Council, the Office of Scholarship and Student Services, and the Office of Counseling and Guidance.